I've said before, i am not a big fan of accessories and jewelry, but i love rings. And since i'm very picky and specific in what i love and like, only these 6 are my favorites which i wear all the time ( not all at the same time of course :)), except for the silver one, which i wear every day, with everything, i never ever take it off. I love this one, because it's a present from my boyfriend. 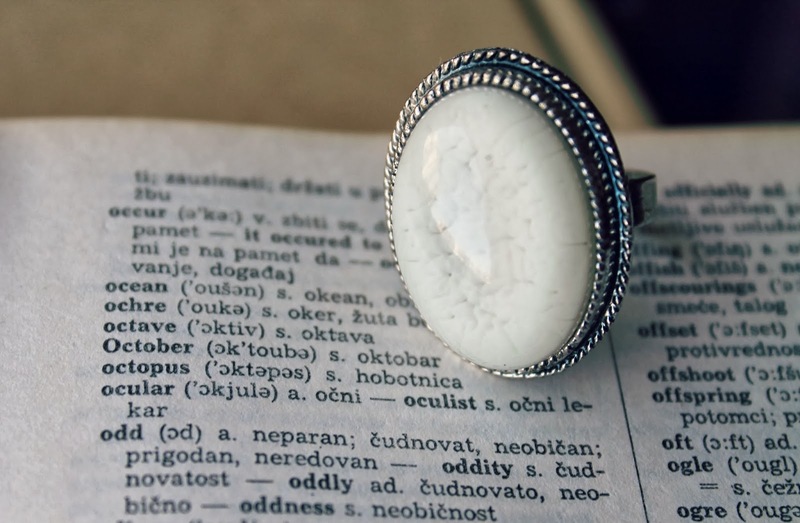 As you can see, i prefer white or turquoise stones, they kinda go with everything i have in my wardrobe and i just love how they fit my hand and my tan. Are you guys fans of rings with big stones, and which color do you like best? And do you prefer silver or gold? I love love your blog! The rings are all so pretty and I love how you photographed them on a vocubalery haha! I totally prefer silver too! 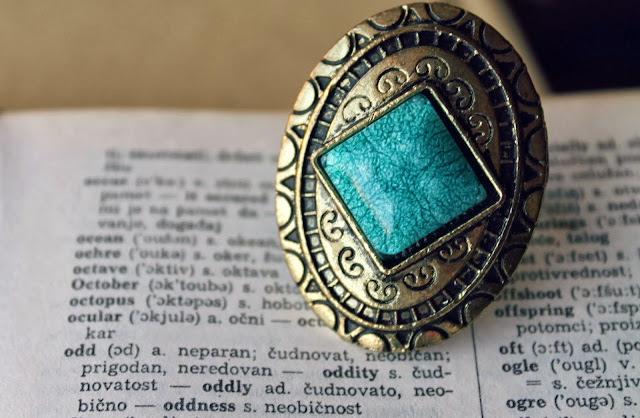 And turquoise, sea foam, aqua, and white are my favorite ring colors too! I adore you blog!! So precious!! I'm also like you when it comes to not wearing much jewelry however I have a few bracelets I constantly wear. Your ring collection is beautiful! I prefer silver even though I wear more gold jewelry, it's weird! 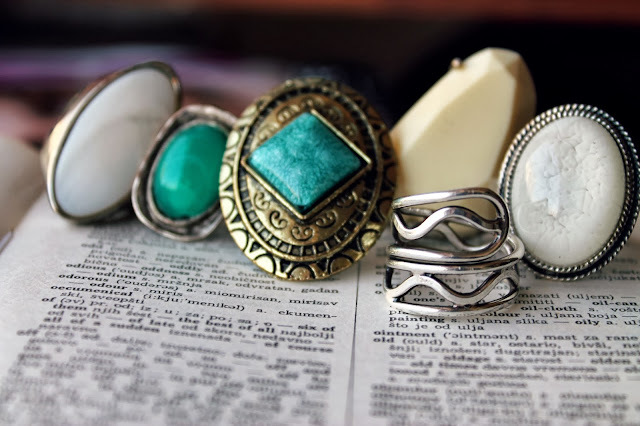 Gorgeous rings, turquoise one is my favorite! I do love silver rings, and I love gold ones too...but i'm not as much of a 'ring' person, *gasp*. i'm much more of a necklace or earrings person, if anything....yeah jewellery isn't really my thing! I LOVE the gold, but I also love the white stone. Great choices! Check out my blog for interior design!